Important notice Before purchase: Please read it carefully, or you may not receive steels successfully! 1. 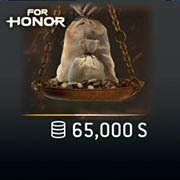 If you want to purchase steels, please make sure you didn't purchase anything from Ubisoft store during last 15 Days( Even click on any in-game purchase ). It is not only about For Honor, but also for any Ubisoft games. 2. Please confirm if the status of steels purchase were blocked in your store. If it shows blocked, please don't buy steels here. 3. Each amount of steels pack can only be recharged once in every 15 days. If you want to purchase multiple steels packs, once we recharged the first 150000 steels pack, you need to wait 15 days more before next purchase. 1. Please Provide Us Your Uplay Account Information: (The Uplay Account Should Be An Email Address) We Will Deliver The FH Steels To Your Account. 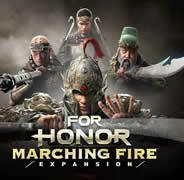 On February 14, 2017, Ubisoft released their new action video game For Honor for PC, PS4, and Xbox One platforms after several year’s development. The AnvilNext engine was firstly used on Assassin Creed 3, created by Ubisoft, performed well and now applied on most of their console games successfully. Gamers can choose to join one of the three factions: Iron Legion, Chosen, and Warborn. According to their name we can feel the breath of warfare. The CG inside the game is gorgeous and lifelike, depicted a image of medieval battlefield. 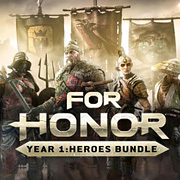 If you keen on action-based video game, the For Honor is the best gift for you now. You can buy it on Steam, PSN Store, and Xbox Live. There are many chapters for you to conquer, each of them features several difficulty level and features different reward EX. The game doesn’t features grand legion melee combat, but focuses on one versus one exquisite solo. You need to maneuver your character to dodge or defense your opponent’s attack, instead of slash no brainer. The bloody fighting scene may not suitable for child. There is a life bar on above the character, which indicates the unit’s life and energy. Follow the plots and instructions to approach on the road of conquering. 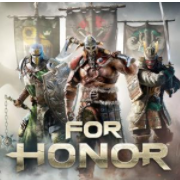 You can Buy For Honor Steel Credits with Cheap Price and Safe Payment Method. 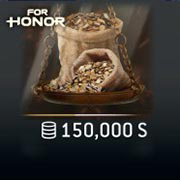 We are professional For Honor Steel store, we also sell Safe For Honor Credits for gamers. Weapons & Armors need to be upgraded to top level to ensure a good game.